We featured some crazy starbucks hacks before and we featured some lens-hood hacks before, but we never featured any lens-hood coffee hack before. Well, there is a first for everything. 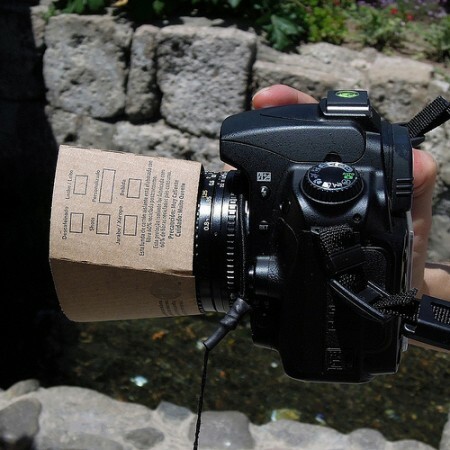 Flickr user Nick Cool just submitted this interesting lens hood hack made from a disposable coffee holder. Sometimes a lens hood is needed, but unless they are integrated to the lens, they are big and not easy to transport.